When you are reading document using LibreOffice, you might require Microsoft True Type fonts if documents were created using Word or PowerPoint because MS office uses MS True Type fonts. Also, Most web pages are designed for Microsoft fonts. You can find it in the style-sheet, where they specify fonts. In Linux Mint, if specified fonts are not available on your computer, they are replaced with generic fonts. With MS True Type fonts installed, web pages will look better than before. 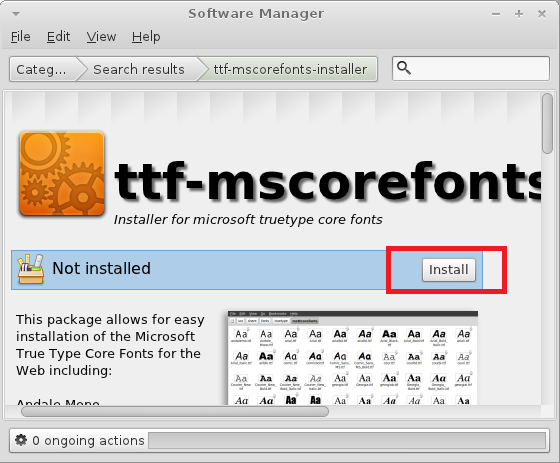 To install MS True Type fonts, you required to install ttf-mscorefonts-installer packages. Step 1: Open Software Manager from Menu ( Mate desktop session). 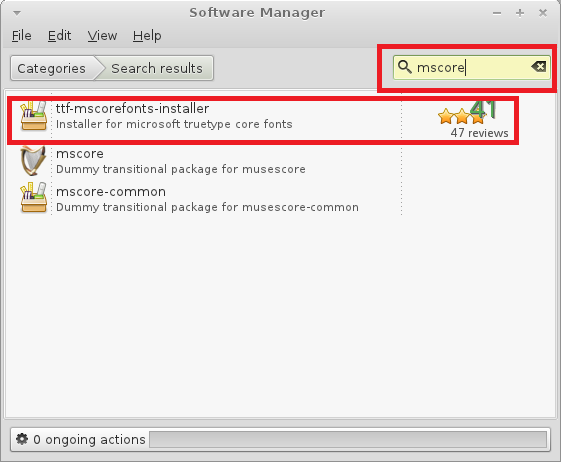 Step 2: Search for mscore in right top corner. 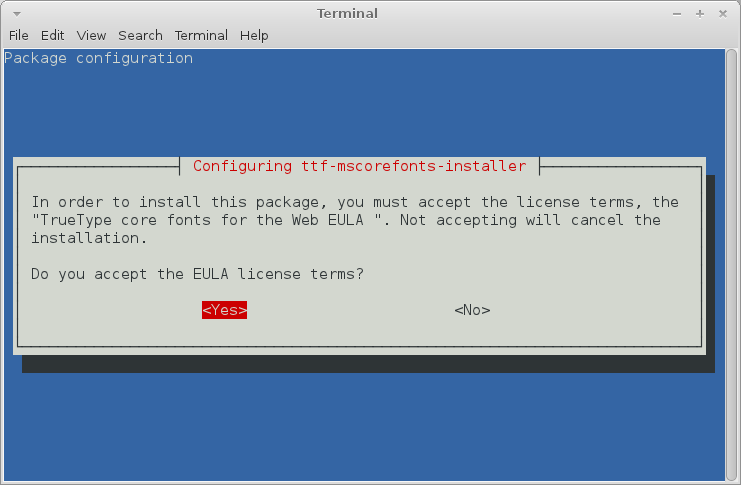 Step 3: Select ttf-mscorefonts-installer and then click on Install button. 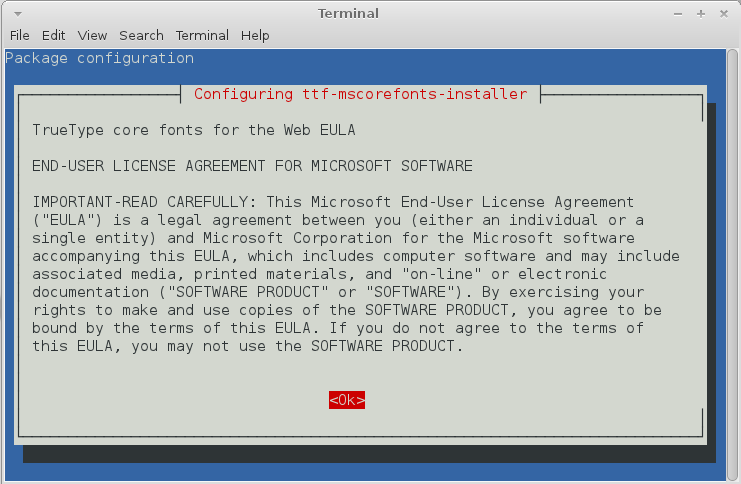 Step 2: Type the following command to install Microsoft True Type fonts. Step 3: Read the EULA and Select ok using Tab key and press Enter. Now you can verify it by scrolling down the fonts type in LibreOffice suit. That’s All. 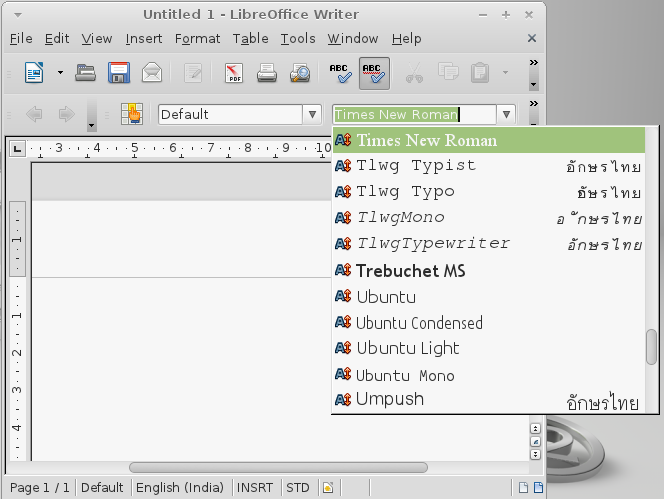 Now the Microsoft True Type fonts successfully installed on Linux Mint 12.